So you have just discovered gaming? Or are you already hooked and want the best hardware to enhance your gaming experience? Whatever your reasons may be, if you are looking for a gaming monitor, you are in the right place. You have your standard computer monitors and you have your “gaming” monitors. A gaming monitor is defined as a screen that’s designed for handling enhanced gaming graphics. They help in making games display the best without compromising the speed, quality, and clarity throughout the game. They come in all kinds of sizes, with a gamut of features that make them amazing performance machines. One caveat – they are usually more expensive than your regular computer monitor. But let us not view these gaming monitors as stand-alone hardware. Having a high-end monitor when you have other average hardware won’t assure you of great action experience. Once you have understood the limitations of your PC hardware you will have a better idea about which monitor will be right for you. You will have a range of specs to choose from in this article, which can match your exact needs. 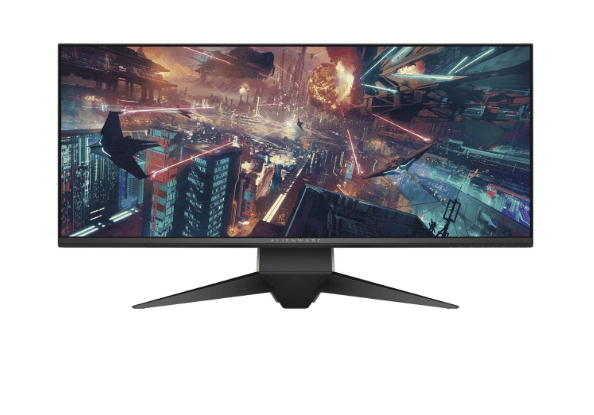 A variety of factors like Response Time, Refresh Rate, Resolution, Adaptive Sync, Screen Size, Display Technology, and Connectors, will help you decide which gaming monitor is best suited for you. The most preferred resolution range of Gaming monitors is of 1080p (Full HD), 1440p (QHD/2K) and 2160p (UHD/4K). The higher the resolution, the better is visual with a finer display of details. Next comes the display technology used; IPS and TN. Each one has its own merits and demerits depending on what your priority is. While IPS panels are incomparable for the visual quality it offers as its output (crisp, vigorous and accurate color reproduction) but the TN panel will assure you of faster response time. At present, one notices that most of the gaming monitors use IPS only. While playing your favorite game does size matter? Well, it depends on how and where you are going to play your games. So here are the sizes available. The most preferred ones are between 21 Inches to 27 Inches and for those who prefer a wider screen, there are sizes that go up to 32, 35. 49 inches. The most crucial factor while choosing the gaming monitor is the response time. For an easygoing experience, you may select monitors that have a response time between 8-16ms. However, if you are looking for a competitive speed without any motion blur, monitors that have a response time of 1-2ms would work well too. If you can afford one of 3ms, 4ms, 5ms, or more they will also make you more than happy. The refresh rate is defined as a measurement in Hertz (Hz); that means the most number of times the screen’s image can be refreshed per second. It usually comes in the range of 60Hz, 144Hz, and 240Hz. The competitive and best monitors come with a refresh rate of 144Hz. The higher refresh rate (144Hz) the smoother and crisper the gameplay, with the display that can handle up to 120 frames per second. So now that you know what to look for and how to choose the best for your gaming experience. Here are our recommendations. 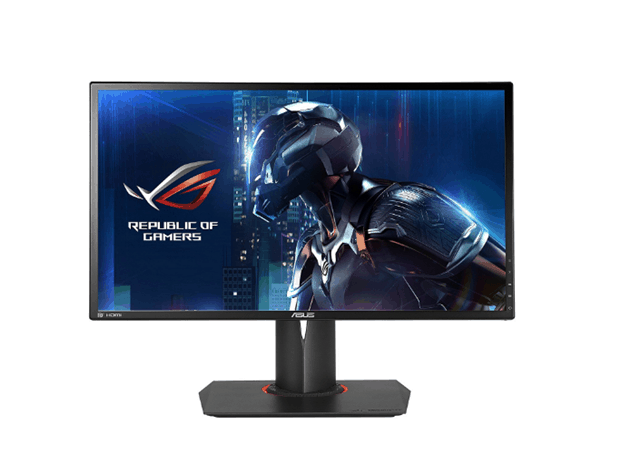 ASUS ROG SWIFT PG248Q gaming monitor comes with 24 Inch Full HD 1920×1080 panel combined with 1 ms response time. This is a good deal as a robust gaming monitor. There is no lag or any blurs to hinder your experience of the ultimate smooth gameplay. Also, it is bundled with overclockable 180 Hz refresh rate. Moreover, the G-sync that synchronize the monitors’ refresh rate to the GPU in your GeForce GTX-powered PC. This eliminates the screen tearing and minimizes the input lag. It also has hotkeys that offer you in-game enhancements. In case of long usage, the ASUS eye-care technology with blue-light filter and flicker-free backlight take care of your eyes. The flexible connectivity options like DisplayPort 1.2, HDMI, and USB 3.0 ports make this piece one of the best gaming monitors. 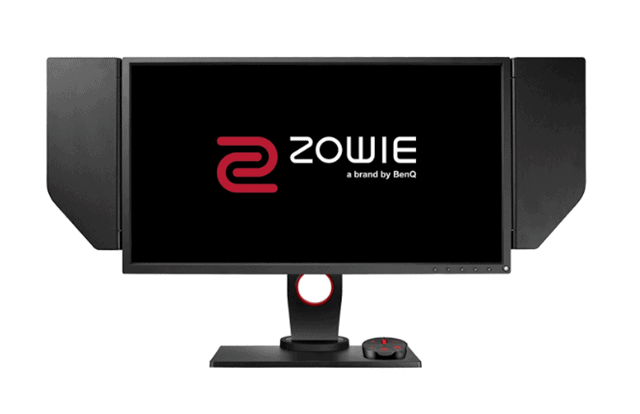 BenQ Zowie XL2540 is the best gaming monitor for avid and professional gamers. It is customized to meet the requirements of all skilled gamers. The 240Hz refresh rate ensures to deliver the smoothest gameplay with detailed motion. You can adjust the angle and remove the shield designs that may distract you while playing. The monitor is outfitted with multiple configurations for RTS, FPS, RPG, etc. You can experience enhanced viewing with 20 levels of Color Vibrance settings that are provided. 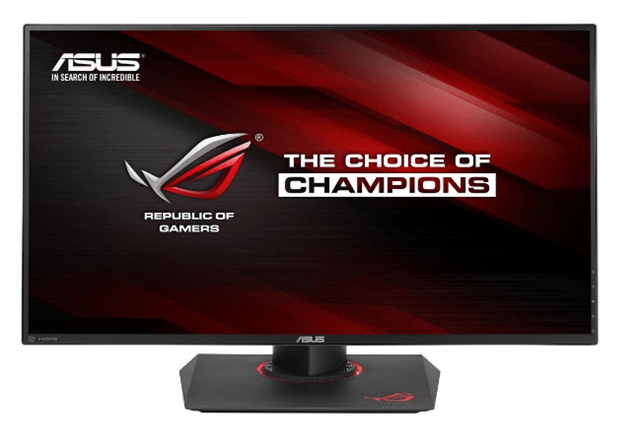 ROG SWIFT PG279Q Asus Gaming Monitor is a G-Sync Eye care monitor that comes with thin bezel design and is the best combination of balanced screen size and resolution for gaming. The NVIDIA G-Sync technology eliminates shutter and screen tearing to deliver the best gaming experience. The IPS panel provides ultra-wide 178-degree viewing angles with minimal distortion even at extreme angles. The narrow 6mm bezel makes this monitor perfect for multi-display setup. This definitely helps your eyes to move conveniently from one monitor to another. The ergonomically designed stand helps with tilt, swivel, pivot and height adjustments. 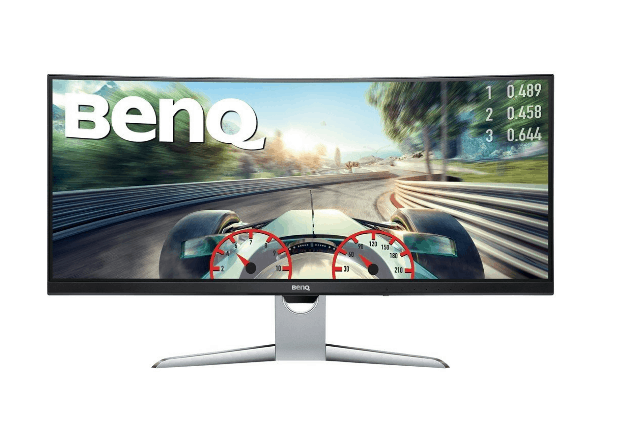 BenQ EX3501R is meant for gamers who are looking for a curved gaming monitor. It creates a panoramic environment so that you get completely engaged by the 35-inch screen with a 3440×1440 resolution. The 1800R curvature makes it an ideal involvement curve ratio for its size is combined with ultra-slim bezels with edge-to-edge panels. The HDR technology offers excellent brightness level, contrast range and outputs a detailed video content. The AMD FreeSync eliminates image tearing, broken frames to offer a fluid gaming experience. The height and tilt adjustments with Brightness Plus technology makes for comfortable viewing. Dell AW3418DW LED gaming monitor is another curved monitor of 34 inches, 21:9 ratio with 1900 Radius that focuses on maximizing view field. The high refresh rate of 120Hz (overclocked) combined with 4ms response time gives you even gameplay. The monitor is designed so that you can focus and enjoy your game. The monitor features an ultrathin 3-sided bezel for the big screen. The step-venting details dissipate heat and enhance performance. It comes with a choice of 6 games modes, three factories preset game nodes (including FPS, RTS, and RPG), and three customizable game modes. The swivel-hinge combo design supports tilts, swivel, and height-adjustability to give you the best viewing comfort. 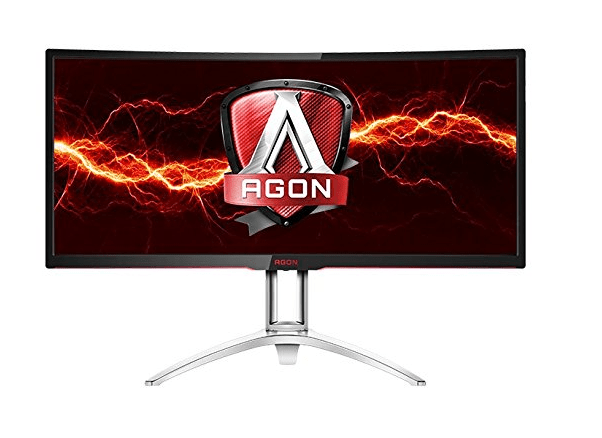 The curvy, large-sized AOC AGON AG352UCG gaming monitor of a 35-inch screen gets a well-deserved mention in the list of best gaming monitors. The ultra curvature radius of 1800R is wall Mountable and offers height adjustment too. The 100Hz refresh rate combined with Nvidia G-Sync technology delivers a smooth feel, great graphics while eliminating screen tearing, display shuttering and input lag. The Retractable headset holder and a handle make this monitor a good choice for e-sports enthusiasts. The ergonomic stand called APOC Ergo Base provides height, tilt, and swivel adjustment for the best viewing angle. Samsung LC49HG90DMNXZA CHG90 is a perfect example of best-curved gaming monitors that comes with an ultra-curvy display. The 49-inch monitor comes with an innovative 32:9 aspect ratio. The 144Hz refresh rate makes your gameplay smoother than ever and minimizes image lag and motion blur. 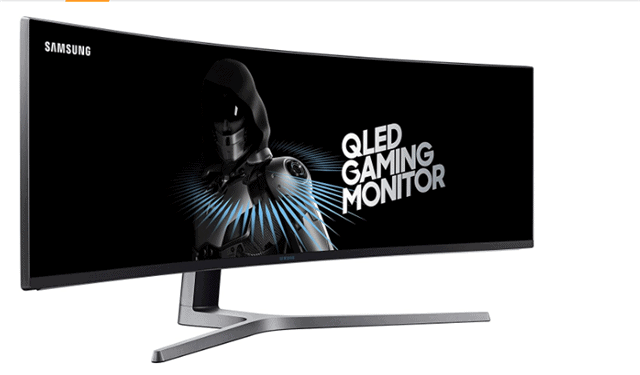 The Quantum Monitor technology of the monitor makes your gaming experience more realistic. 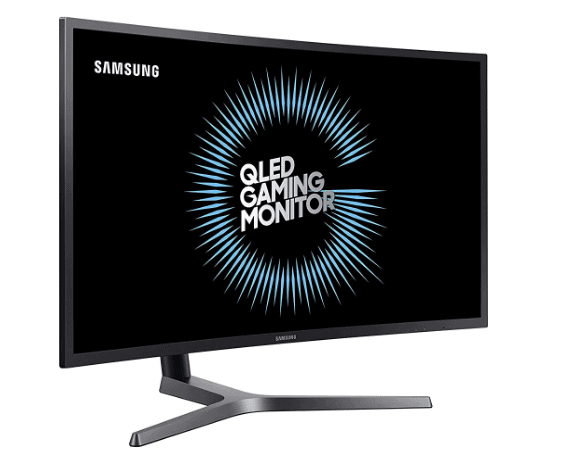 The Samsung CHG90 QLED Gaming Monitor supports High Dynamic Range (HDR) that makes dark areas look darker and bright areas brighter. The new Radeon FreeSync 2 technology gives gamers a smooth game experience. The 20-step Black Equalizer adjusts any scene of the game. This lets you spot enemies hiding in darkest areas. 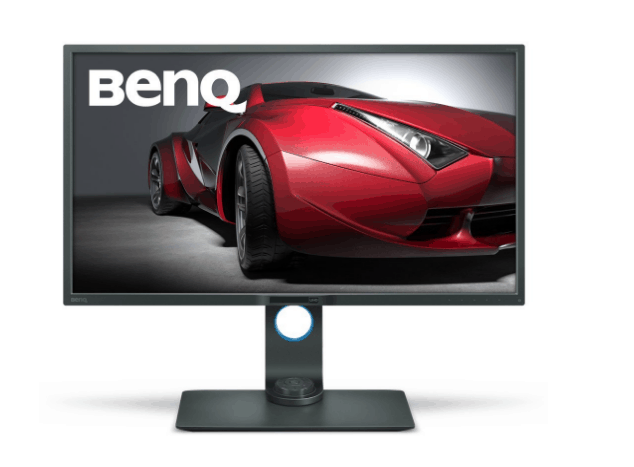 BenQ PD3200U primarily focuses on providing professionals in domains like CAD/CAM, and animators an excellent 4K monitor choice. Fortunately, at the same time, it can also be considered as a good gaming monitor. It has a darkroom mode that adjusts brightness and contrast of images for better clarity and details. There is a revolutionary CAD/CAM mode that offers great adjustments on lines and shapes of all technical illustrations. The KVM switch function lets users control contents from two separate PCs on one screen. This is done by using one set of keyboard and mouse to save space. The monitor is designed using IPS technology and delivers the best picture and video quality. It also has a DUAL view mode that lets you work in two modes like sRGB and darkroom mode without the need for two screens. The 32 inch 4k gaming monitor is just the best way to enhance your gameplay at an affordable price. 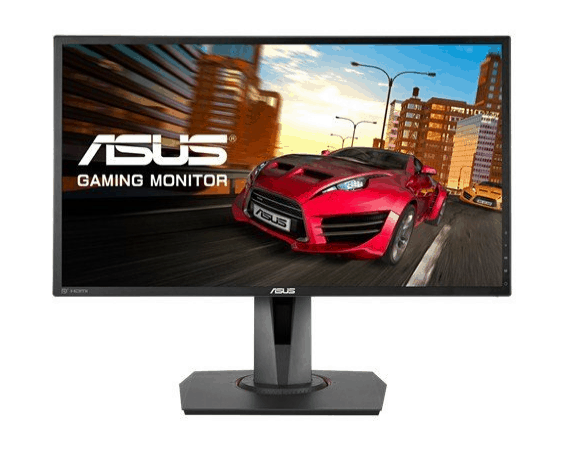 Those who are looking for the best budget gaming monitor, Asus MG248Q will not let them down. Its price tag and features offer a great value for money. The high performance of the monitor makes it all-in-one pack with a decent budget. The 24 inches monitor comes with Full HD Freesync/Adaptive Sync combined with 1 ms response rate and 144Hz refresh rate for fluid gameplay. The flicker-free display takes care of your eyes from too much strain. The Quantum Dot technology of Samsung C27HG70 makes the game experience more realistic with its billion shades of accurate color. It supports the High Dynamic Range (HDR) that makes dark areas darker and bright areas brighter. The AMD’s new Radeon FreeSync 2 technology delivers a smooth and a plug-and-play gaming experience. The refresh rate of 144Hz ensures the delivery of crispy and smooth action scenes. You can even adjust the refresh rate to 60Hz/120Hz when required. The Samsung C27HG70 has a DP and 2 HDMI ports that provide multiple connection interfaces that allow you to handle PCs, game consoles, extra monitors, and any other device with ease. 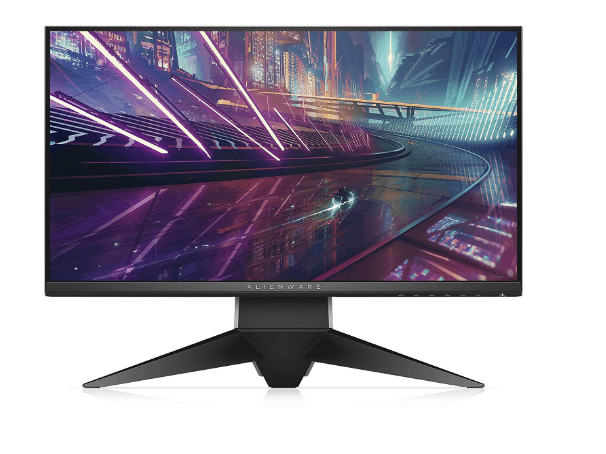 Alienware 25 Gaming monitor is designed for people hunting for some great image graphics and picture quality monitor. The iconic design is built to enhance your gaming experience with a 240Hz refresh rate and an incredibly fast 1ms response time. The custom lighting effects with AlienFX fully customizable RGB system bring you close to the gaming world with its dynamic effects. You can adjust the viewing position with tilt, pivot, and height adjustable features. This is especially useful when you have marathon gaming sessions. 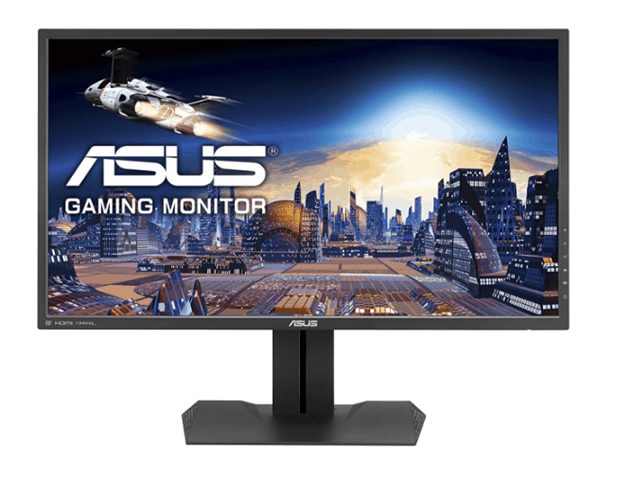 Asus MG279Q competes well with other gaming monitors, having the refresh rate and response time of 144Hz and 4ms respectively. The 27 inch Quad HD resolution IPS panel delivers the best picture quality with sharper images. The 100% sRGB color gamut and 100,000,00:1 contrast ratio covers everything from vivid explosions to the darkest part of the game. The AMD FreeSync technology removes all the distracting screen tearing and choppy frame rates. There are preset display modes for different game genres that enhance the visual to give you the best gameplay. 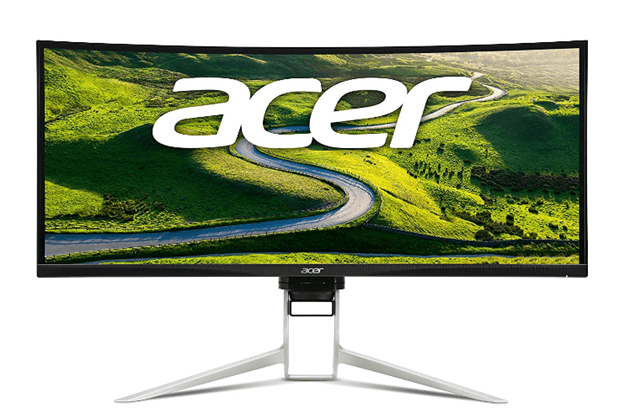 Acer XR382CQK is the best UltraWide gaming monitor with 1ms response time. The 37.5-inch monitor with 21:9 Ultrawide QHD resolution make your experience very nice no matter if you are working or playing. The other great features include 100% sRGB and DTS Sound to deliver the best entertainment experience. The FreeSync and Adaptive-Sync remove all the image stuttering and tearing. Now you can stay in your game for hours with its Eye Protection; Flicker-less and Blue-light Filtering technology. The HDR display technology is used to deepen the levels of black and white colors on the screen. In our opinion, the gaming monitors listed above are the perfect pick for any avid gamer looking to enhance their gaming experience with incredible response time and refresh rate. Of course, there always will be a debate about whether only a good gaming monitor will actually enhance your experience, or are there more factors? But if you decide that a gaming monitor is what you need, then the choice will be easy to make right here.